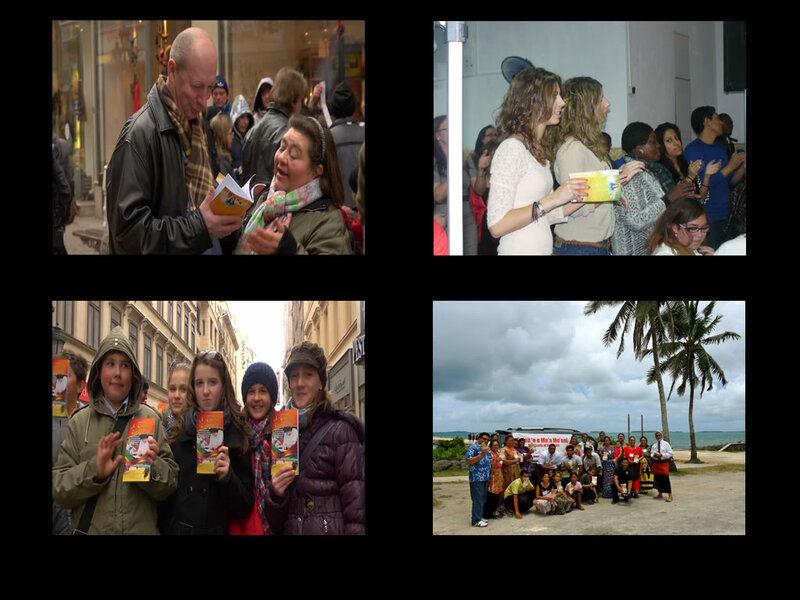 The translation of Rhapsody of Realities into the different languages has had tremendous impact in the lives of individuals, groups, and entire cities in different parts of the world. nike free nike air max homme nike kwazi soldes This explains why partners constantly seek to make the translated copies available to everyone in their sphere of contact. baskets new balance pas cher bottes ugg pas cher nike roshe run chaussures adidas Impact Of Rhapsody Translation In Hungary In Hungary, partners embarked on a citywide free distribution of the Hungarian translation of Rhapsody of Realities in the nation’s capital city, Budapest. chausson ugg new balance timberland pas cher nike kwazi soldes It was an impactful campaign, as many of the recipients returned days later to share how they were blessed by studying the devotional. adidas gazelle femme nike air force 1 ugg chaussons chaussure adidas zx flux “I’ve been reading Rhapsody of Realities with my family and it has changed our lives. new balance france Asics 2017 It has helped to build our faith in God’s Word. air max homme adidas chaussures adidas ultra boost I’m so grateful to the authors,” said a recipient, Zoltan Kovacs. basket new balance christian louboutin Remarkable Impact With Spanish Translation Of Rhapsody of Realities In Spain, partners in Christ Embassy Madrid organized, “Rhapsody of Realities Live!” an evangelistic event, which was fully conducted in Spanish. adidas zx flux homme nike huarache The highly successful program was targeted at bringing the Gospel en masse to people in the Madrid metropolitan area through the Spanish translation of Rhapsody of Realities. nike pegasus nike air max 2016 ugg promo Several evangelism outings culminated to the grand event, which recorded a large turnout with many of the attendees giving their lives to Christ. adidas ace Impact In Tonga Prison In Tonga, the chief chaplain of the Tonga Prison reported how the prison was getting decongested because of the Tongan translation of Rhapsody of Realities. air jordan soldes nike air max homme ugg noir Adidas Soldes The inmates received God’s Word in their own language and were transformed. asics basket adidas zx Now, they don’t return back to the prison after their release as was the norm. nike air max 90 bottes timberland pas cher chaussure adidas bottes ugg bailey button pas cher ugg noir pas cher Let’s Reach Every Nation And Tongue With The Gospel! The monthly translation of the devotional into all these languages is made possible, thanks to the team of world-class translators—faithful men and women, who work passionately night and day in their bid to make the Gospel available for all. Nike Roshe Run soldes adidas pas cher The Lord Jesus said, “And this gospel of the kingdom shall be preached in all the world for a witness unto all nations; and then shall the end come” (Matthew 24:14). ugg classic mini basket nike tn soldes nike air max command adidas nmd adidas zx flux homme Adidas Soldes Join us to ensure Rhapsody of Realities is made available in many more languages so that people in every nation on earth can have the opportunity to hear the Gospel. The Gospel of Christ, through Rhapsody of Realities, is indeed covering the earth as the waters cover the sea, just as the prophet declared in the Word. Alleluia! This is so much benifecial for all nation.